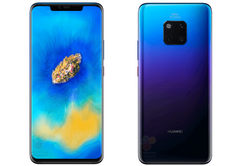 The first renders of the Huawei Mate 20 pro reveal a tri-camera setup on the back, but the absence of the usual circular fingerprint sensor could mean that the display itself is housing it now. Speaking of the display, the extra-long notch at the top will most likely not be a strong selling point for this model. Huawei’s Mate 20 Pro flagship is weeks away from an official unveiling, and we already know it is going to be powered by the 7 nm Kirin 980 SoC that is said to be faster than Apple’s A12 Bionic. While spec leaks have been circulating around for a few months, renders of the Mate 20 Pro have only started to seep through, this time from the guys over at the German site WinFuture. 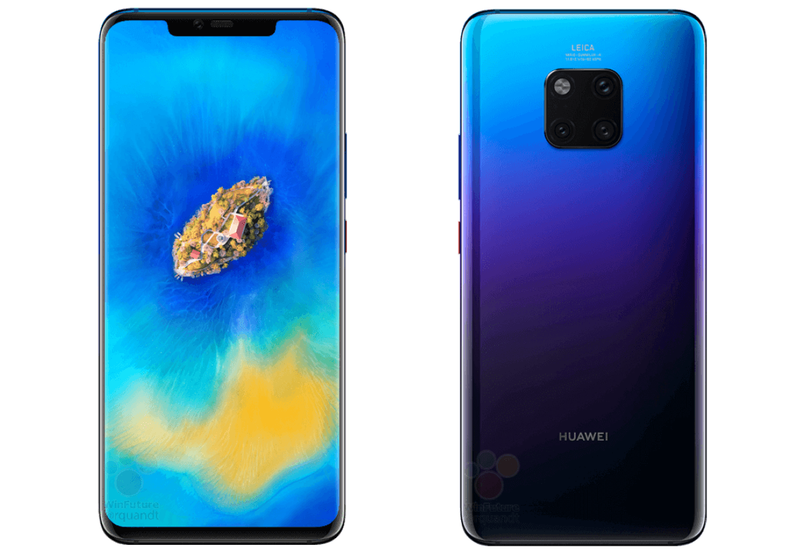 First thing to immediately pop up from the renders is the color scheme chosen by Huawei. The Black and Silver Blue options are decent, but the Twilight one is something else, reminding of the Morpho Aurora that came with the P20 Pro. As far as the display is concerned, there are thin upper/lower black bezels and a large notch, while the corners are rounded, and the protective glass sheet seems to be curving on the edges. The back of the phone reveals a square-shaped triple-camera setup, but there is no fingerprint scanner in sight, suggesting that this model could come with an in-display scanner. According to GSMArena, the camera setup now includes a small sensor for bokeh effects, a standard sensor with 5X zoom lens and a wide-angle lens sensor. Other rumored features include a battery larger than 4,000 mAh, and underwater photo mode and support for wireless earbuds. October 16 is set to be the date for the official unveiling of the Huawei Mate 20 Pro, but full specs will most likely be leaked in advance.